Attorney. Advocate for Women’s Rights. Speaker. Author. Mentor. 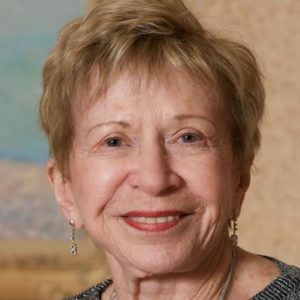 Equal Employment Opportunity Commission (EEOC), first woman attorney in the Office of the General Counsel. Co-founder: National Organization for Women (NOW), Women’s Equity Action League (WEAL), Federally Employed Women (FEW). Charter member: Veteran Feminists of America (VFA). Board of Trustees: National Woman’s Party. Photo 1. Left to right: Rev. 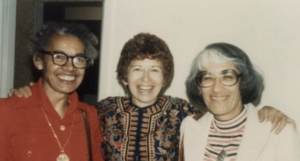 Dr. Pauli Murray, Sonia, Dr. Bernice Sandler. Photo 2. Founding of NOW – Sonia Fuentes, front row, third from the right, Washington, DC, October 1966.